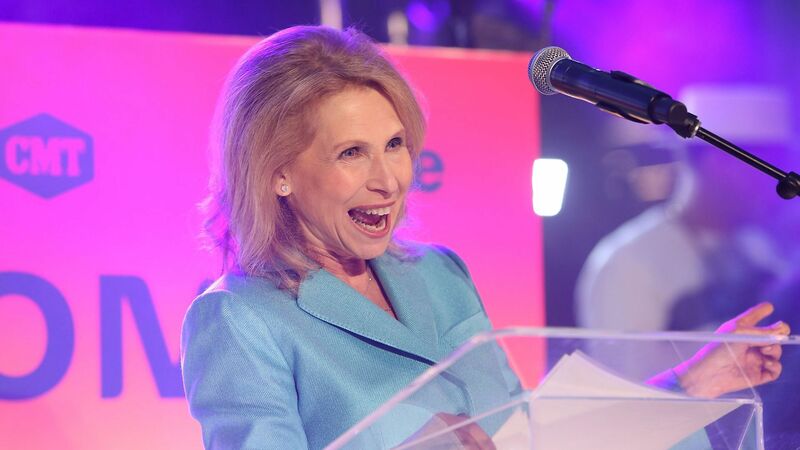 Shari Redstone. Photo by Jesse Grant/Getty Images. CBS Corporation filed a lawsuit Monday against majority shareholder Shari Redstone for alleged breaches of fiduciary duty — an attempt to block her and her holding company from forcing a merger between CBS and its former sister company Viacom. Why it matters: It's the latest twist in an already long and dramatic merger process. While both parties have denied that management complications have been holding up deal negotiations, this shows that control over the new company is essential to CBS leadership, and they're willing to fight to block a merger that doesn't give them such power. The proposal would dilute the shares of National Amusements — Redstone's media holding group — by over 60 percentage points, which would block it from replacing enough board members to push the merger through. It also asks for a temporary restraining order against Redstone to stop her from hurting the merger process. The lawsuit was filed in the Delaware Court of Chancery by a special committee formed within CBS' board in an attempt to preserve CBS stockholders' best interest. Later Monday, National Amusements fired back saying it is "outraged by the action taken by CBS and strongly refutes its characterization of recent events" and it defends to defend their position vigorously in court. "NAI had absolutely no intention of replacing the CBS board or forcing a deal that was not supported by both companies. NAI’s conduct throughout supports this, and reflects its commitment to a well-governed process." National Amusements says CBS’s public lawsuit was precipitated following National Amusements "raising specific concerns about incidents of bullying and intimidation in relation to one CBS director, dating back to 2016." Axios reported last month that CBS Chairman and CEO Leslie Moonves asked in 2016 to remain Chairman of the Board of a combined CBS/Viacom and for his CBS management team to "have complete and irrevocable authority to manage the combined businesses."